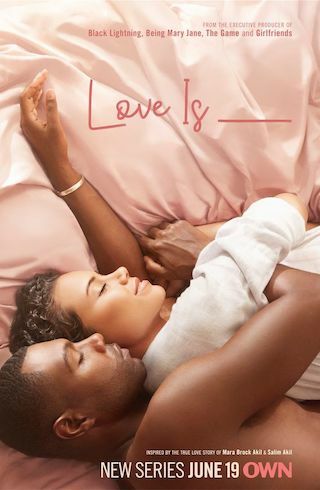 Love Is ___ is an American 60 minute scripted romance television series, which kicked off on June 19, 2018, on Oprah Winfrey Network and is broadcast every Tuesday at . The show is currently in its 1st season. Oprah Winfrey Network opted not to pick up Love Is ___ for Season 2. Love Is ___ officially canceled on Oprah Winfrey Network. Sign up to track down your favorite TV shows. to the 90s, because that's the love story began.